Home Java How Inheritance Concept Works For Java Enum?? 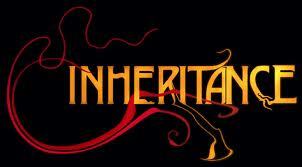 How Inheritance Concept Works For Java Enum?? In my previous post (https://www.techtravelhub.com/2013/05/enum-concept-simplified-in-java.html) I have told how compiler will treat enum. It will treat enum as a class. will be transferred by the compiler as.. Since the underlying concept is class, the very next question arises as can Inheritance concept works for enum? Let us see few concepts..
With the above statements we can conclude that inheritance concept is not applicable for explicitly.Hence we can’t use extends keyword for enums. However an enum can implement any no of interfaces simultaneously. Previous articleHow To Work With Java Enum In Switch Argument?? Next articleHow Constructor Works In Java Enum ? How to Resolve NoSuchSessionException in selenium?